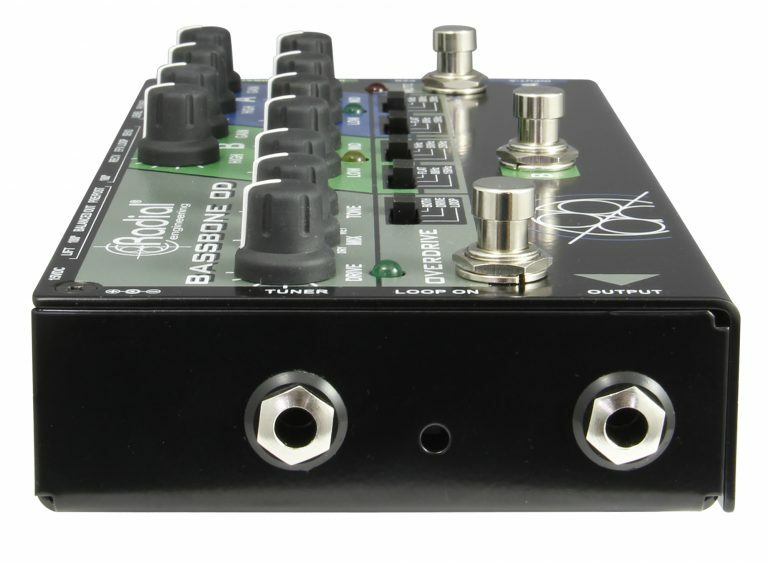 The Bassbone OD™ is a bass preamp that features two fully equipped input channels, with separate level and EQ controls and a shared overdrive that can be engaged by a footswitch. 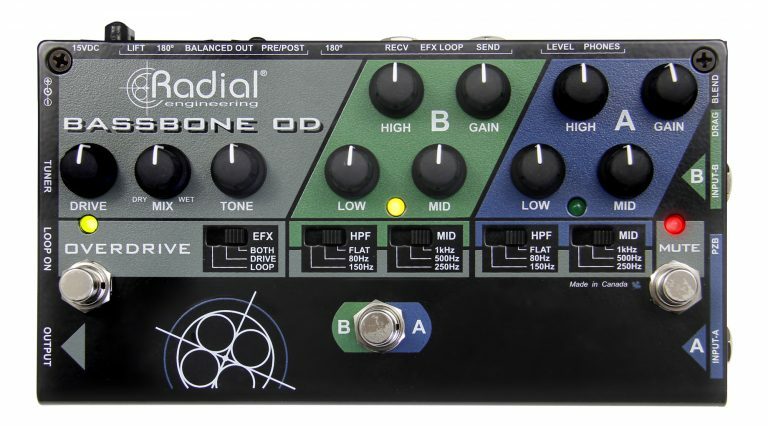 The Bassbone OD allows you to connect two bass guitars and sculpt the tone of each one individually, as each input has its own level and EQ controls. 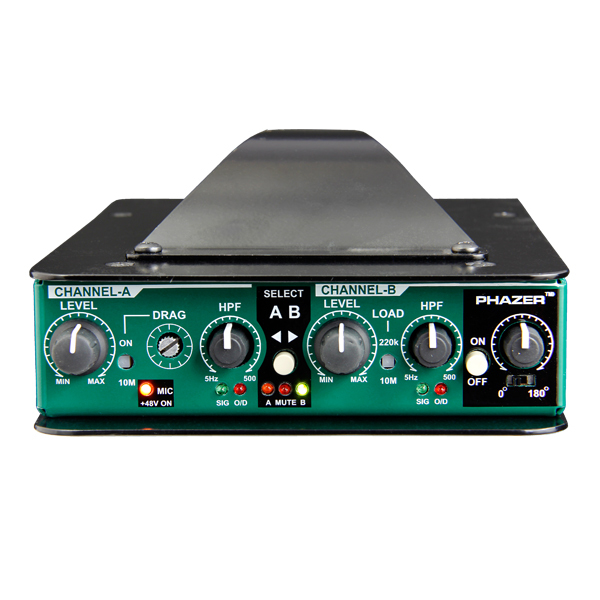 The EQ settings have been specifically tailored for use with basses, and include a high pass filter to roll off excessive low end, along with a selectable center frequency for the Mid EQ boost/cut. Input A features a PZB booster designed for use with upright basses that employ a piezo transducer, while Input B includes a Drag Control impedance correction circuit that adjusts the load presented to magnetic pickups for a more natural tone. 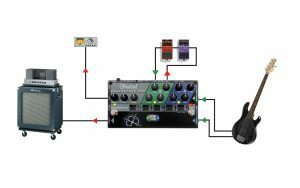 Following the input and EQ section, the Bassbone OD allows both instruments to share your effects pedals with an EFX Loop, which then feeds a powerful on-board overdrive. Toggle between your favorite vintage bass and your active 5 string using the middle footswitch and send the signal to your amp. Mute the signal using the right hand footswitch for quiet on-stage tuning using the tuner out. Whether you play jazz, pop or orchestral works, the Bassbone OD lets you switch between a passive bass with magnetic pickups to an upright with piezo while optimizing the tone for each. 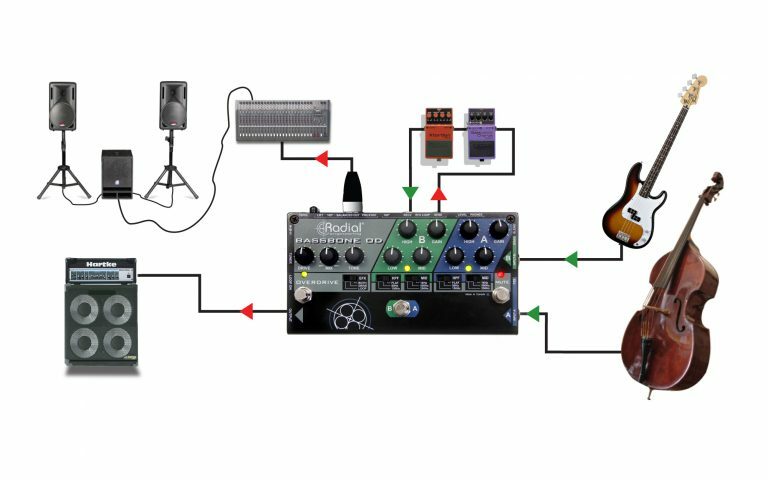 Add effects to the signal path using the built-in effects loop. Connect the TRS (stereo out) from your dual-element bass to combine a magnetic pickup with a piezo using the blend switch. 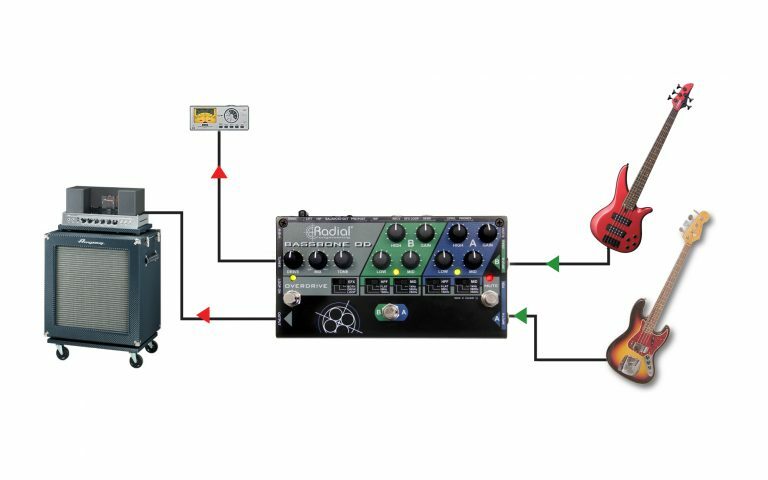 Set the levels and tone for each pickup to suit. 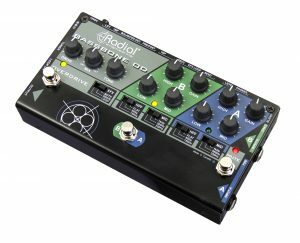 The Bassbone OD acts like a mini 2 channel mixer! "It's hard to envisage the player who wouldn't be able to get everything he or she needed out of a Bassbone, it's so well thought out and spec'd... It's a brilliant piece of kit for so many reasons that I'd say it's a must-have." 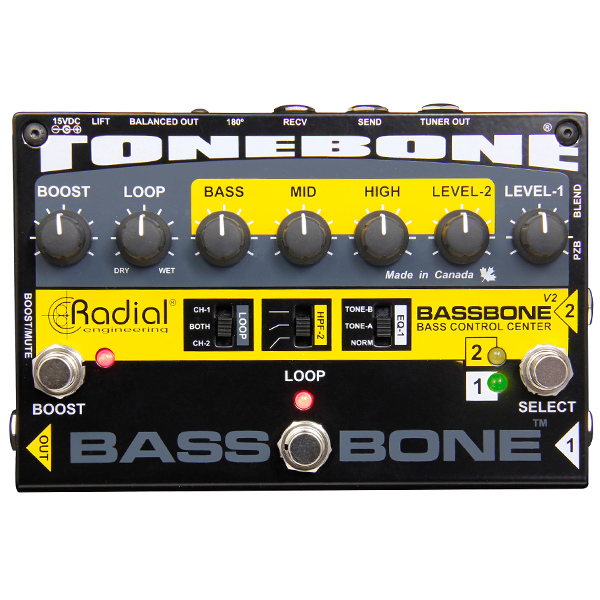 "Happily, the Bassbone OD sounds as good as it is versatile. Even as a straightforward DI it seems to add a hint of flattery. 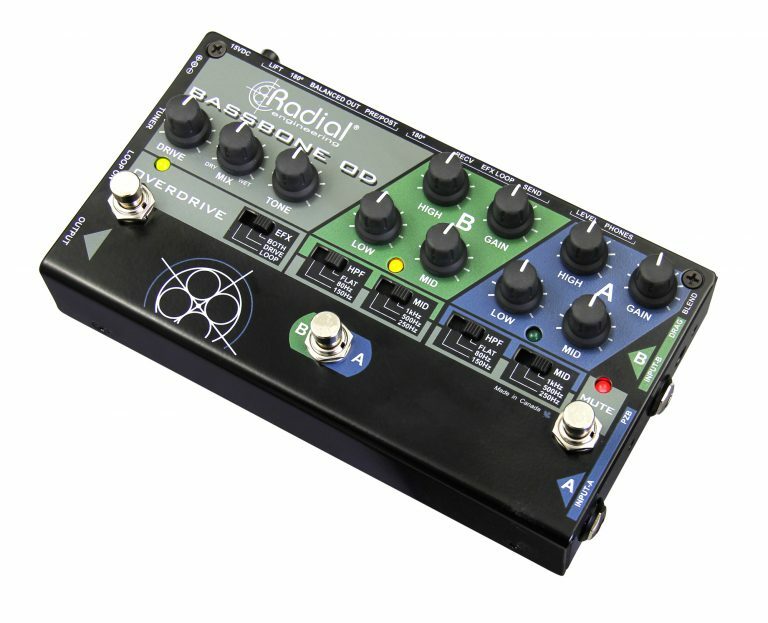 This pedal could either lie at the heart of, or replace almost entirely, your bass front-end. Highly recommended!" "The right mix of the Bassbone's overdrive and EQ is capable of producing a variety of sick sounds that will satisfy anyone from Jesse Keeler fans to Billy Sheehan wannabes."" "The Bassbone OD is a game changer. 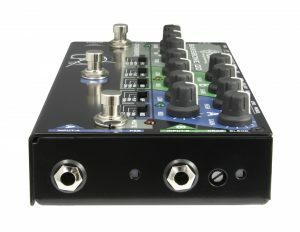 Finally there is a bass overdrive that doesn't lose all the low-end when you really drive it! The controls are simple, but super effective. I don't want to give it back. It's just THAT good!" "The Bassbone OD is truly an amazing pedal. As I went through all the different features I got so many flashbacks of different situations I have been in that I really could have used or desperately needed the Bassbone OD. Really clever and very thought through pedal! And did I say it sounds Amazing! 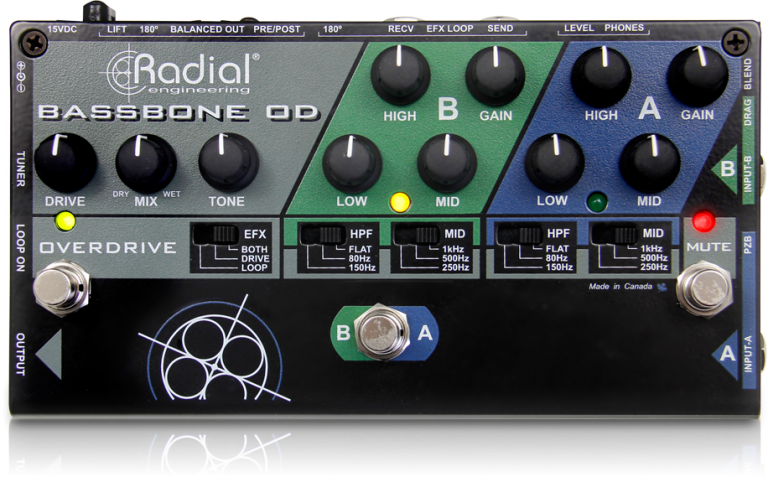 Radial is not only improving sound you are also simplifying the life of people in the music business. Thank you!" 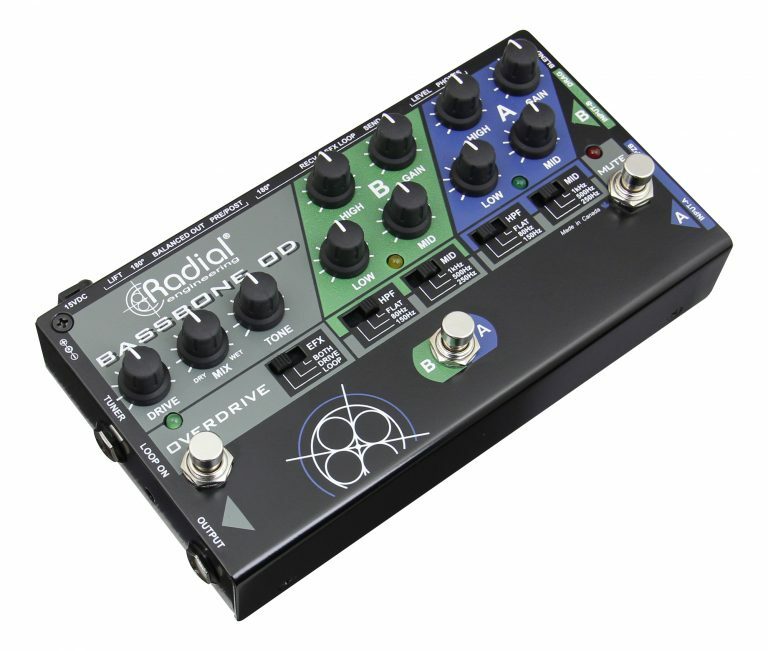 The Radial JDV is a class-A direct box with a unique zero negative-feedback circuit that delivers unmatched signal purity for the most demanding recordings. 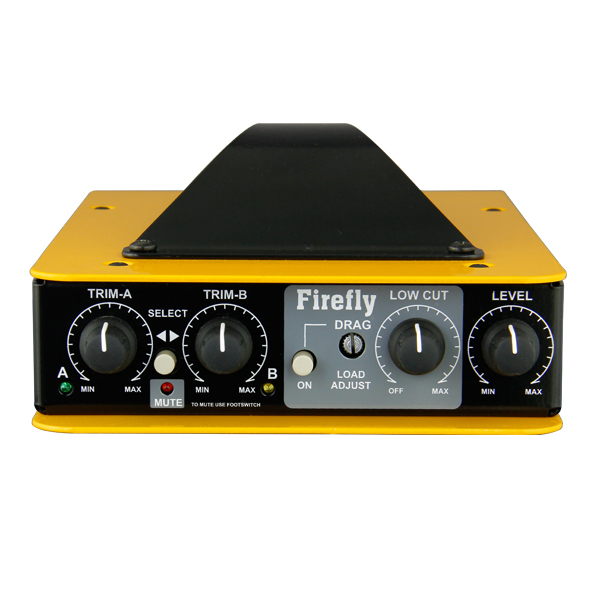 The Radial Firefly is a class-A direct box that combines a 12AX7 tube drive with transformer isolation to deliver spectacular warmth and character. 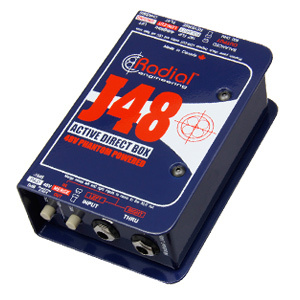 The Radial J48 is a 48 volt powered active direct box that delivers studio quality performance while eliminating hum and buzz caused by ground loops.